Lambeth has been described as a village between Southwark and Battersea. The name comes from Lamhytha (1088), a ‘Landing-place for lambs’. Lambeth has been spelt in various ways including Lamb-hythe, Lamheth, Lambyth, Lamedh, Lamhees. The area was mostly marsh and fields with scattered villages and hamlets until the 18th century. King Harthacnut owned the Manor of Lambeth and died there in 1041 while eating a feast. The Convent of St Andrew, Rochester sold part of the Manor to Archbishop Haldwin of Canterbury in 1190. Archbishop Hubert Walter bought the rest of the Manor in 1197 and built a Palace by the river roughly opposite the Palace of Westminster. For centuries the two palaces were linked by a horse ferry (thus Horseferry Road). The Black Prince lived in a royal palace at the nearby Manor of Kennington. By 1746 the riverbank was fringed by houses and boatyards but apart from small villages at Vauxhall, Stockwell and Brixton there were few houses, mainly dotted along the main roads. There was a forest at Norwood. During the early 1800s houses were being built for rich merchants and early industrialists. 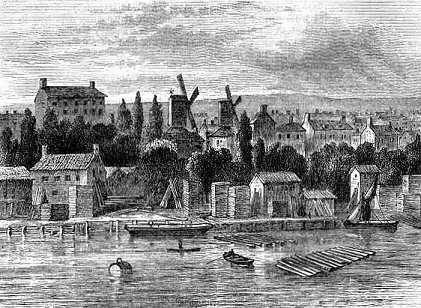 New factories (such as Vauxhall Plate Glass Works, Coade’s Artificial Stone works and Doulton) were set up near the river in the north of the borough. To service these factories the workers lived mainly in slum dwellings and shanty towns. Today the countryside is gone save for a few small parks and two large ones (Kennington and Brockwell) and the two commons of Clapham and Streatham. The Vauxhall Gardens made famous by Pepys and Evelyn are no more and all that is left is a small grass area called Spring Gardens until its name was changed in 2010 to Vauxhall Pleasure Gardens. Lambeth has some notable churches, including the Georgian St Luke’s, St Marks, St Matthew’s, St John’s and St Mary the Less and 13 Victorian ones. The South Metropolitan Cemetery at West Norwood was established in 1836 and contained many elaborate Victorian monuments and mausoleums, some of which have been destroyed by the local council.